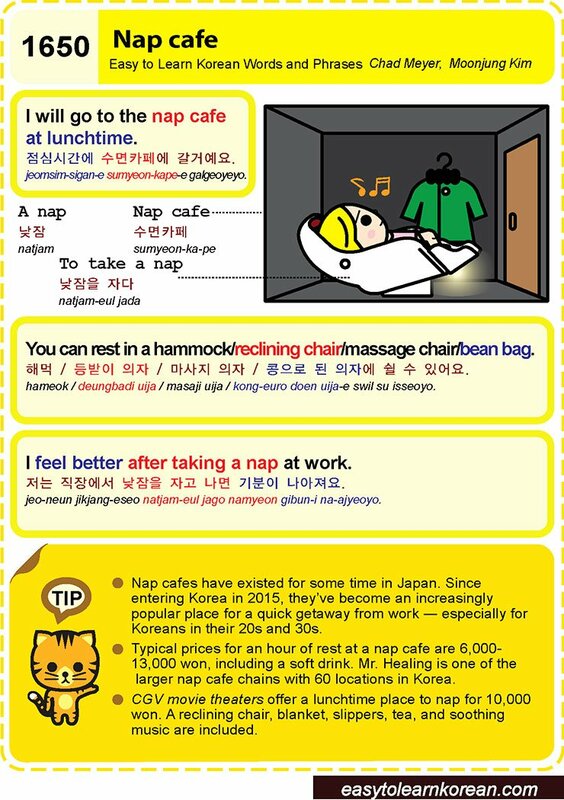 Easy to Learn Korean 1650 – Nap cafe. Posted in Series	| Tagged a nap, CGV Movie Theaters, I feel better after taking a nap at work., I will go to the nap cafe at lunchtime., Japan, Mr. Healing, nap cafe, nape cafe, rest, to take a nap, You can rest in a hammock/reclining chair/massage chair/bean bag., 낮잠, 낮잠을 자다, 수면카페, 저는 직장에서 낮잠을 자고 나면 기분이 나아져요., 점심시간에 수면카페에 갈거예요., 해먹 / 등받이 의자 / 마사지 의자 / 콩으로 된 의자에 쉴 수 있어요. 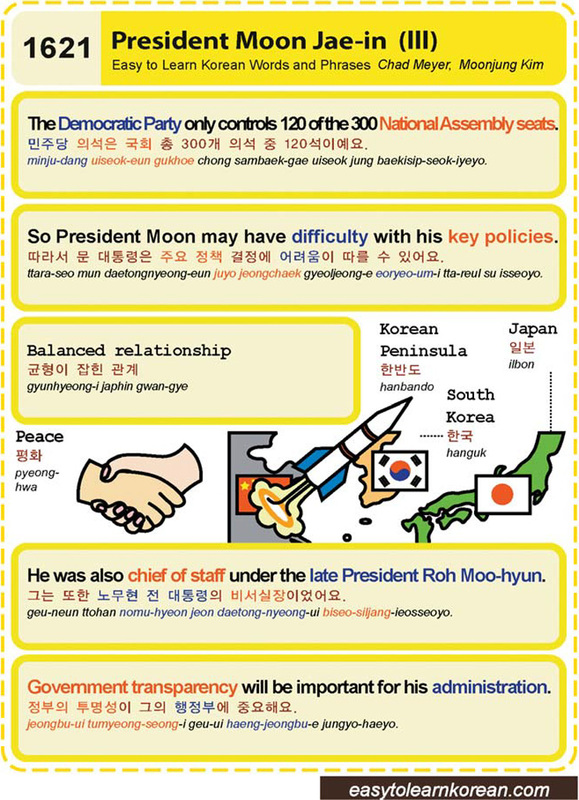 Easy to Learn Korean 1621 – President Moon Jae-in (part three).